Constipation happens when too much fluid is being absorbed by the intestines, resulting in a lack of fluid in the stool. 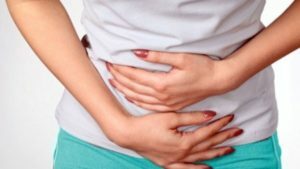 Symptoms can included having fewer then three bowel movements a week, and a stool that is hard, dry and small, as well as painful and difficult to pass. If you experience abdominal pain, bloody stool and /or unexpected weight loss accompanying constipation, consult your doctor. Rarely is constipation a sign of serious health complication and there are some natural remedies that can alleviate discomfort. Adding fiber to your diet will bulk up stool and soften it, making it easier to pass. the recommended dosage is 25-38grams per day. Fiber is found in fresh and dried fruits, vegetables, bran and whole grains. fiber needs fluids to move through he digestive system so plenty of water should be drunk. Bulk forming herbs such as flaxseed (whole or crushed, not flaxseed oil), fenugreek, and barley also aid in constipation relief. Limit foods high in fat, including cheese, diary, and meat, drink lots of water and exercise regularly to keep bowels moving. Chiropractic adjustments to the lower spine can help relieve pressure on connecting nerves of the intestines that could be interfering with the normal function of the bowel due to a misalignment of the vertebrae at the root of those nerves.